First of all, if you are managing a dive, thanks. Dive managers keep the club going. To manage a dive you will need to be trained as a Dive Leader or above, so you will know how to go about it. This page provides some more information about managing a dive with Totnes BSAC and is a gateway to further information. Who – is to be in charge? – Who can participate? Where – will it take place? When – will it take place? What – is required? Boats, equipment, accommodation, etc. How – is it to be carried out? Dive plans, diving rota, etc. All can be planned well in advance, even months ahead. Details can be sorted out in the weeks leading up to the event and finalised on the day. These notes are intended to provide a guide to the planning process. Is it to be a wreck dive, a scientific project, a search, a night dive, a training dive, or just an enjoyable day at the coast? Once the objectives are defined, the Dive Manager can plan the event and choose the site that best suits the objectives. Which comes first – the dive objective or the Dive Manager? It may well be that someone wants to do a particular dive and has volunteered to manage it. However, if not, the Diving Officer (DO) could decide on the objectives, and then appoint a Dive Manager. Alternatively, the DO could appoint the Dive Manager and ask them to set dive objectives, choose the site and date and organise the dive. All Branch Dives must be managed. 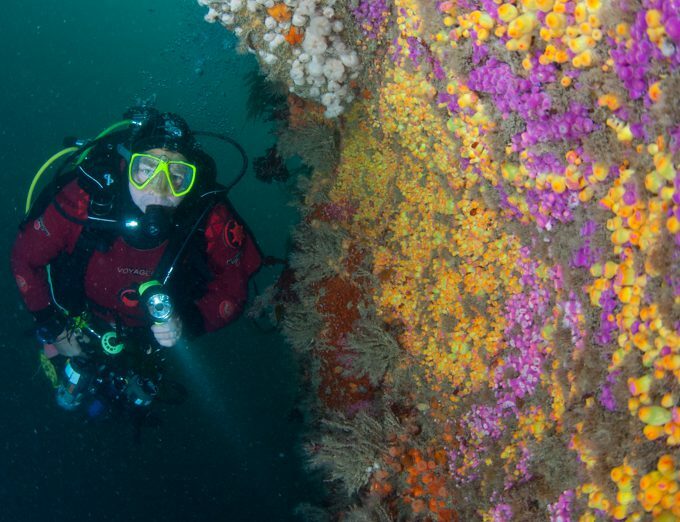 The skills and experience required for are integrated into BSAC Dive Leader training, although for divers who qualified prior to September 2002 these skills were not taught until Advanced Diver. Advanced Divers can manage and supervise diving to explore unfamiliar locations. Dive management is not necessarily taught in qualifications from other dive agencies and the DO will assess, on a case by case basis, whether additional training is required to enable members trained by other agencies to manage branch dives. It is a good idea to find a suitably experienced member to act as an assistant to support the dive manager – a good opportunity to involve trainee Advanced Divers and Dive Leaders. The appointed Dive Manager is in charge and can only be over-ruled by the DO and not by other senior Members unless they feel that the safety of the boat or divers is at imminent risk. As Dive Manager, you have the authority to exclude Members from the dive if you feel that they do not have the skills, experience or qualifications for the dive you are planning. Deputies can help out with boats, equipment, record keeping, etc. You may want to hold a planning meeting with your deputy (or deputies) in advance and/or shortly before the dive to go through plans and agree the allocation of tasks, to set timetables, and to finalise details. As Dive Manager, will need to know the diver grade of the people who sign up for the dive. It also helps to know a little about their interests and diving preferences so everyone is catered for and goes home happy. The Dive Manager should always aim to establish who will take part in the dive in advance, by means of the club notice board and weekly email. There will always be last minute changes of circumstance, but if members let you know in advance, it is easier to put together a plan that suits everyone. Weather – always unpredictable, but in some seasons more predictable than others. Will the site(s) suit everyone, or will you have to limit the dive to a certain diver grade? Boat launching and recovery – is it possible at all states of the tide? Do you need permission to access the site? Do you have a Dive Planning Slate? Have you read the club Risk Assessments? Does this dive present any particular risks that aren’t covered? Local knowledge is really valuable so it is a good idea to talk to people who know the site well. Boats: Are the Branch boats available? Will other boats be available? Are all boats correctly equipped and serviceable? You may need to liaise with the Branch Equipment Officer and will likely need to delegate transport of boats to and from the site, fuelling and checking them. Appoint boathandlers for the day. Personal diving gear: Members are responsible for their own. Remind them in advance to check if special items are needed. For example, a good torch (and a back-up!) for a night dive. Training equipment: If Branch training equipment is to be provided then members need to be responsible for bringing it to the site. Remember the equipment needs to be returned in time for the next training session. Other club equipment: Ropes, weights, buoys, safety equipment (oxygen kis and defibrillator) etc. Transport: Does anyone need transport to the site? Arrange lifts, meeting places etc. Check with your delegates that they know what they need to do. Announce your plans at the Branch Meeting, on the club Noticeboard, and/or by email. Get a final list of names and interests so that dive groups can be made up and dive leaders chosen as necessary. You may also want to set up a ‘check in’ procedure for the evening before so that Members can find out if all is “go” or about last minute changes to plans. Inform the DO of the proposed plan. Before setting-out on the dive, double check that the assumptions made in the Risk Assessment are still valid. You should be prepared to put any contingency plans into place at any point during the dive. Finally, before the dive, give a short briefing to all the divers to summarise the dive plan and point out any safety issues. After the dive make sure that everyone is safely accounted for and that all details of the dives have been recorded and the dives paid for, that the towers get away in a timely manner and that they have sufficient help at the boatshed to wash down and put away the boats. Advise the DO of any incidents and both the DO and EO of any equipment failures. The following week, or as soon as possible after the dive, hand the completed dive log and any monies to the Treasurer who will then pass it on to the DO. Finally, other club members, advanced divers and the DO are all around and very happy to provide support and advice. Thanks again.